A Relator: The opening role that a landlord performs is that of a realtor. 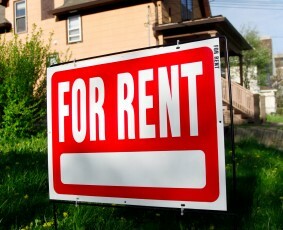 To rent your property, you have to publicize your rental area to allure prospective tenants. Then you have to set appointments to view your rentals. In this aspect, as a landlord you undertake a role of real estate agent. An Intelligent businessman: Once, a probable tenant viewed your rental area, the next role you take on is that of an efficient salesperson. As a landlord, to convert the prospective tenant to a tenant, you need flair of a merchant. You have to boast of your rental area advantages to market your property. A Sleuth: The next step in renting your property is selecting the right tenant. To end up with a good tenant, you should become a sleuth. Yes, you need to do some underground work to select the right occupant of your property. Getting a good tenant is an important factor as a bad tenant not only adversely affects the environment in neighborhood but can also cause damage to your property. So, tenant screening is necessary for every landlord. While screening, you need to act as a tactful detective. Once your tenant occupies your rental place, you have to take different roles to keep your tenant satisfied. A Repairer: It is your duty to look into the repairing matter of your property. If you are good at basic home repairs, you can save more bucks. So now your role is that of a repairman. A Debt Collector: Another important role every landlord should assume is an efficient debt collector. While many tenants will pay on time, some will not meet the agreed payment terms. As a landlord, you need to ensure the rental payments are made on time. In this situation, a landlord has to be a debt collector. An Overseer: Just collecting money from the tenant is not the only job of a landlord. You need to ensure comfort and enjoyment during your tenant’s stay. It is the responsibility of the landlord to supervise his property to curb noisy neighbors bug or prevent any other problem that may disturb the peace of his tenant or cause damage to his property. Thus, a landlord also has to play a role of a watchdog to avoid unnecessary troubles. Besides undertaking these roles, in certain cases, the landlord becomes a counselor. When the tenant and landlord become more bonded, tenant will share everything with the landlord and landlord becomes godfather for his tenant. Sometimes, the landlord has to negotiate when he hires contractors to do repair works in his rented house. In this situation, he has to negotiate well in order to save money. Such times, he acts as a negotiator. Overall, if you want to become a successful landlord, you need to be ready to wear many hats.